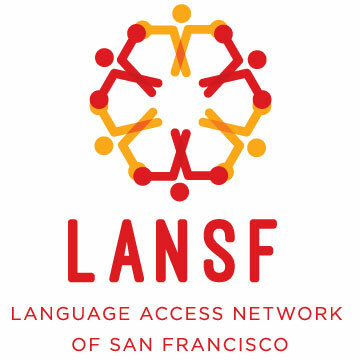 AROC is part of the San Francisco Language Access Network. We work in collaboration with other immigrant rights and base-building organizations to ensure that our communities have access to services in their language. With the leadership of AROC’s language access coordinator, we are working to empower our Arabic speaking community to navigate society with ease and a sense of belonging. The Language Access Ordinance (LAO) requires all major City departments in San Francisco to ensure that they can serve individuals who do not speak English proficiently. AROC Membership built a campaign to ensure the right to services and basic necessities regardless of immigration status and language. We are asking Arab community members what barriers they have faced in city agencies, locations, or existing translation procedures (hospitals, housing, schools, Language Line, 311, forms, etc). Ways to plug in include research, site visits, community outreach, attending meetings, etc. We identified a target location as being the San Francisco Unified School District (SFUSD). Arab immigrant parents don’t have access to their children’s programs and development at school because of language, and SFUSD did not provide adequate language resources for the Arab community. Although there may be various translated documents on the website, more must be done to ensure access to these existing resources. We have communicated to SFUSD as well as City Agencies, that it is their responsibility, fiscally and structurally to provide these equal services. SFUSD Translation and Interpretation Department and AROC. We worked together in hiring two on-call Arabic interpreters. The positions are called ‘Parent & Community Involvement Coordinator’, and it is seen as a liaison position that goes beyond just interpretation. However, as these are sub-contracted, on-call positions, there is still an issue of funding and overall commitment to providing sufficient infrastructure for Arab-speaking families. For community members, parents and children to be empowered with the ability to affect change; For communication between schools and parents to improve; More funding for adequate translation services; and More resources for educating Arabic speaking families on existing Language Access infrastructure. Did you know that since 2001, San Francisco’s Language Access Ordinance requires that the majority of city departments serve community members whose ability to speak English is limited? That means that major city departments must provide in-language services to community members who speak Spanish, Chinese and Tagalog. It also means that they must provide written materials about programs, services and benefits in these languages. And they must post notices in their offices letting the public know that translation services are available. San Francisco has one of the best language access laws in the country, but it takes a lot of work to see that it is enforced. AROC is one of seven organizations that is part of the Language Access Network of San Francisco committed to guaranteeing that the law is upheld. Access to services and government hearings in a language you understand means your voice can be heard. • You have the right to request translation services from the majority of City departments. • You have the right to an oral interpreter at any public meeting or hearing of City boards, commissions or departments, if you request one at least 48 hours in advance. • You have the right to file a complaint if you were not served by bilingual staff; if an important letter or form was not translated or if your advance request for an interpreter was denied. 1. Contact AROC or one of the other community organizations belonging to the Language Access Network listed below.